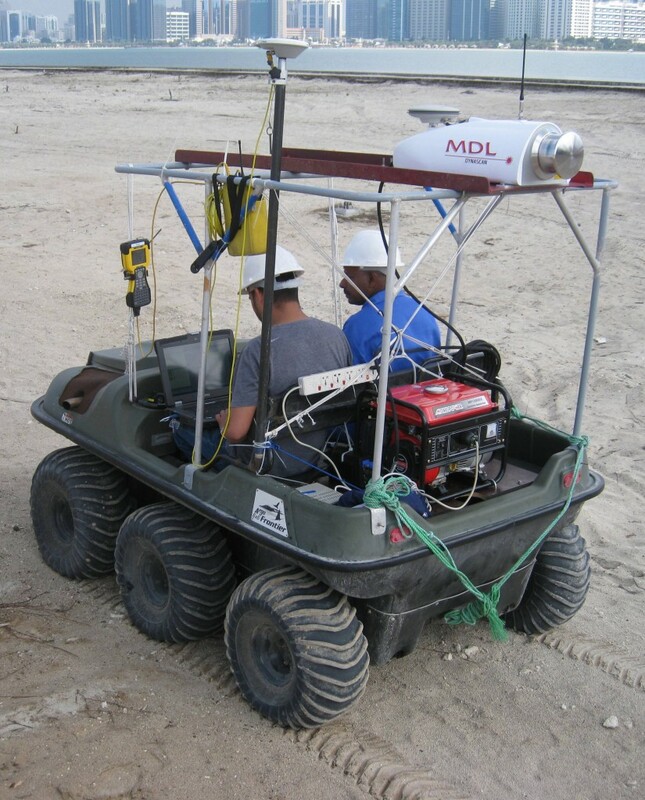 Southern Gulf Surveys have recently taken delivery of an MDL Dynascan mobile laser scanning system from the UK with which we are currently conducting trials. It is being mounted in turn on a 4×4 pickup, 4×4 SUV, 6×6 Argo Cat amphibious vehicle, and on a survey launch. 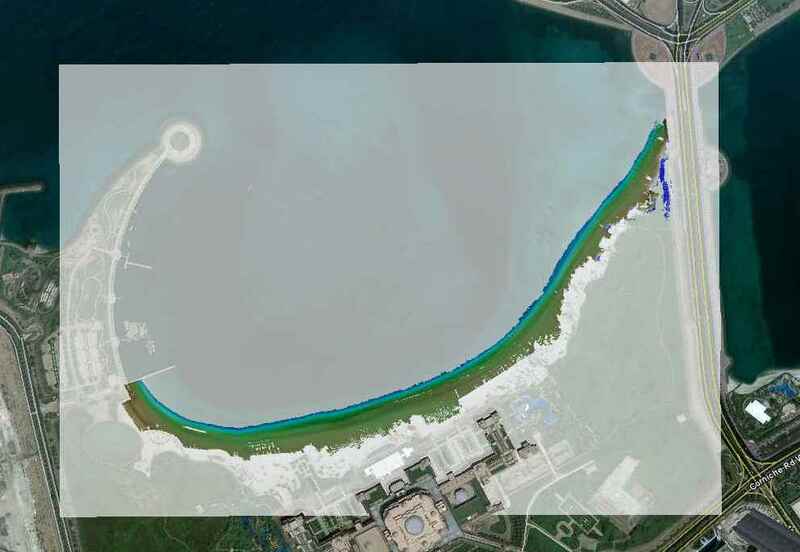 The location selected for the trial was the Marina Mall breakwater area in Abu Dhabi. The first trial was done with the instrument mounted on the roof of our survey launch “Khamasin” running lines close along the breakwaters. 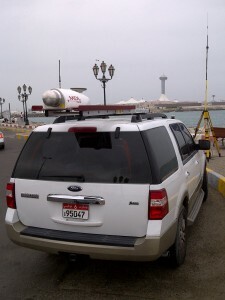 The second was carried out the following day with the instrument mounted on the roof of a Ford Expedition 4×4. Several runs were completed in different directions using the 4×4 to try and eliminate any “blind spots” created in the dataset by passing vehicles. Average speed during scanning was 15-20kph. 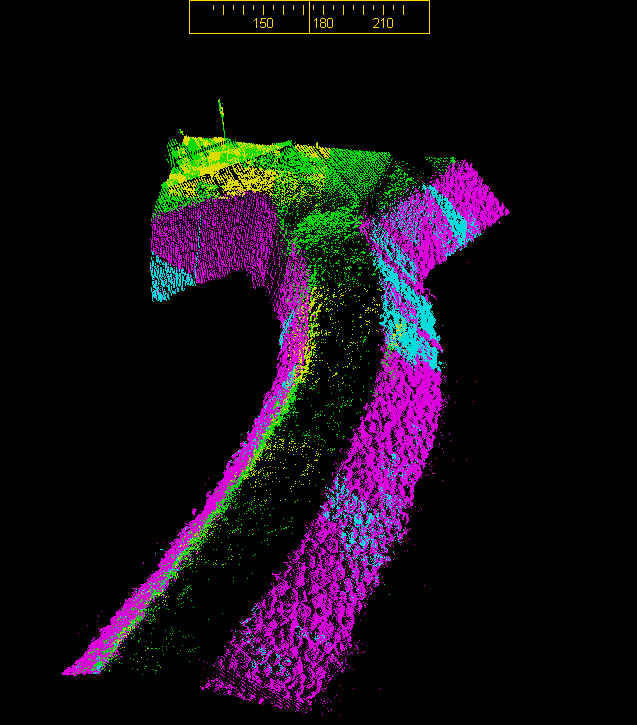 Both datasets were merged into a combined dataset of over 56 million 3D points, which was then cleaned. 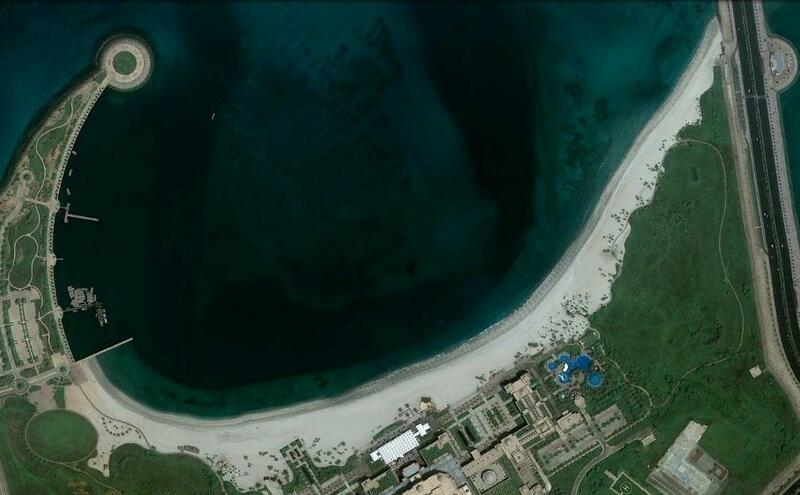 The images below were extracted from data gathered over the two day test period in January 2011. 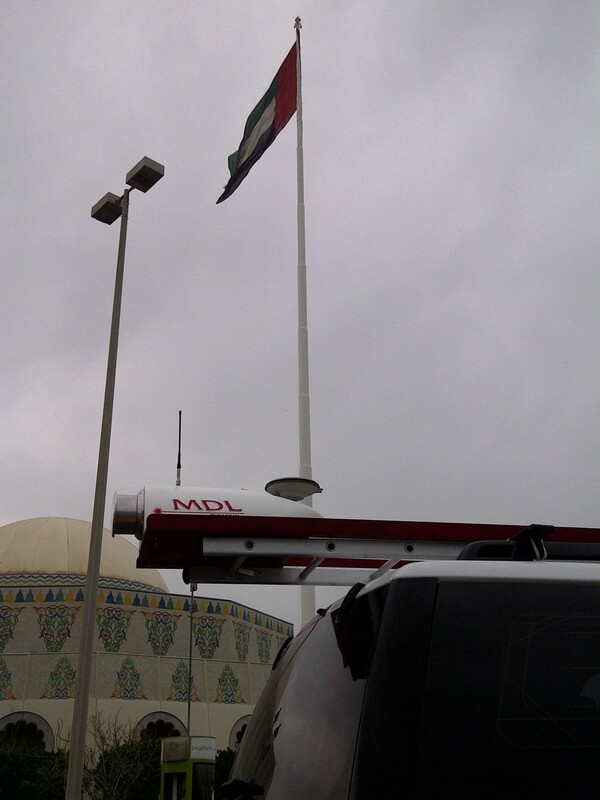 The Abu Dhabi flagpole shown below stands at 123 metres tall and flies a flag measuring 20 × 40 metres. 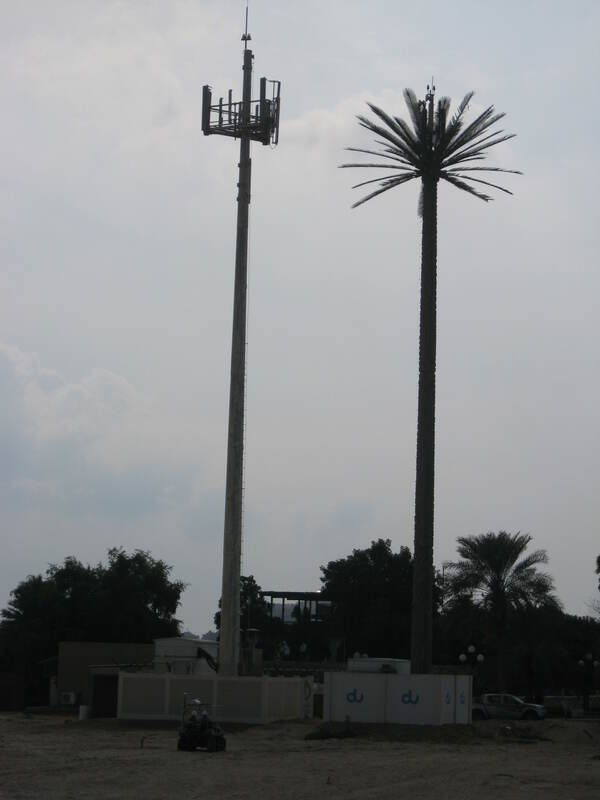 It was classified [in 2002] in the Guinness World Records as the World’s Tallest Unsupported Flagpole. The third trial was done using our ARGO 6×6 amphibious vehicle. We scanned a strip of ground approx 300 metres x 60 metres alongside one of the asphalt roads previously covered by 4×4. The area chosen had also been surveyed on foot several weeks previously using a standard RTK GPS system. Scanning this area would allow a direct comparison between data gathered using the 2 methods. Due to the height difference between the road and the strip there were several gaps in the first dataset gathered by the 4×4, particularly blind spots close into the wall alongside the road. These blind spots would be covered by passes using the ARGO. As an additional check we installed a separate RTK system on to the ARGO to gather spot height data simultaneously to the scanner. 3 runs were made across the area taking approx 15 minutes to complete. The results can be seen below. The left hand image is a view of the test area with a small section highlighted in green. The right image is a perspective view of the highlighted area. The area was at originally planted with rows of palm trees, but these had been recently removed. The excavations left a series of craters where each tree had been. These can be clearly seen in the images. Data points were gathered by laser at high resoulution with an average grid spacing of approx 10cm x 10cm. 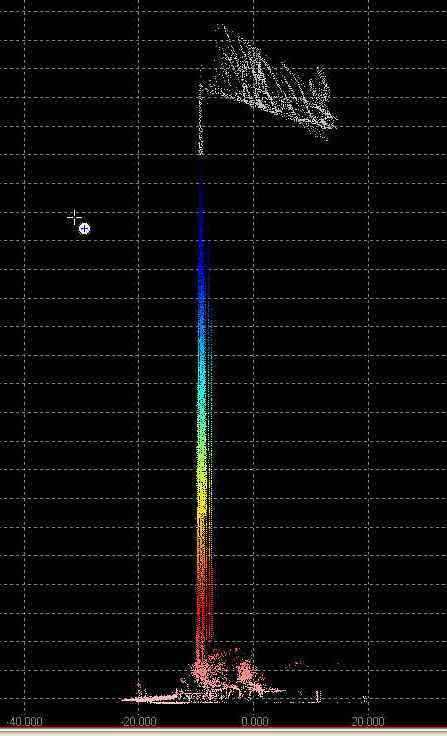 We compared data from the laser against RTK data gathered on foot, and data logged from the ARGO. We found that the data was within the tolerances expected from the GPS system (+/- 5cm). A more recent trial was done as a demonstration for a prospective client. 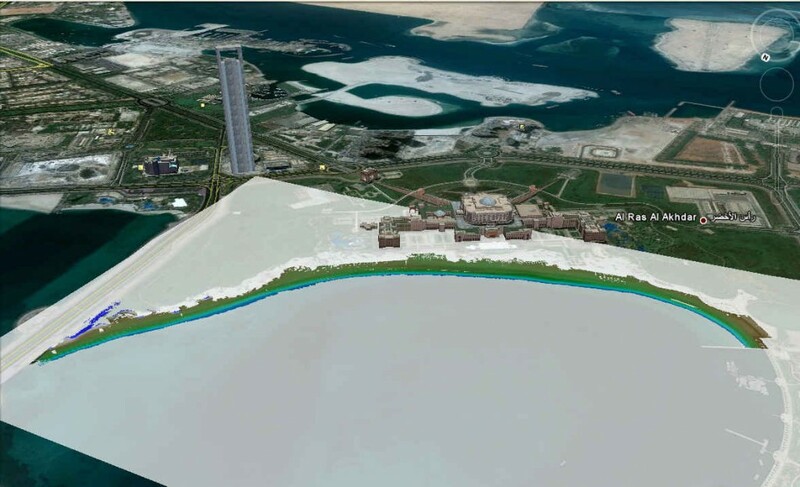 The Emirates Palace Hotel in Abu Dhabi is one of the worlds premier hotels and has a private beach which is subject to significant wave action at times which is causing some movement of the sand along the shoreline. We mobilised the Argo Cat 6wd late one evening to coincide with a low water spring tide. 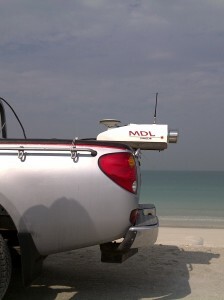 This would ensure maximum coverage of the beach below the high water mark. 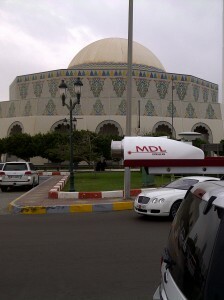 After calibrating the GPS system the survey was completed in less than an hour. 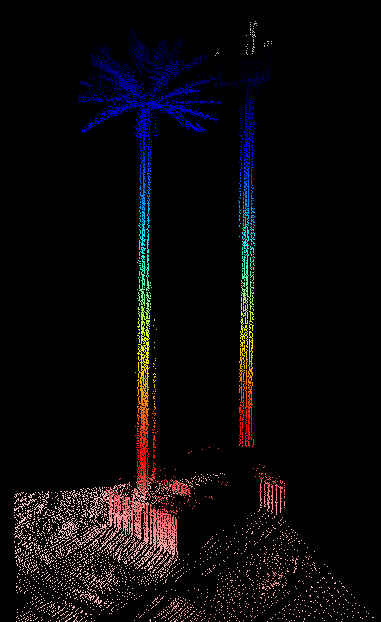 Sand waves are clearly visible in both the image and the scanned data. 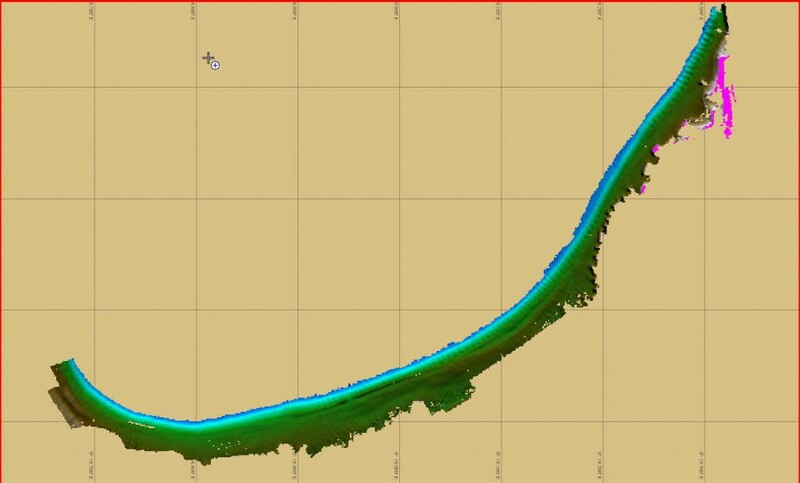 Our next planned trial is to compare multibeam bathymetric data gathered at high water against scanned data from the same area but gathered at low water. 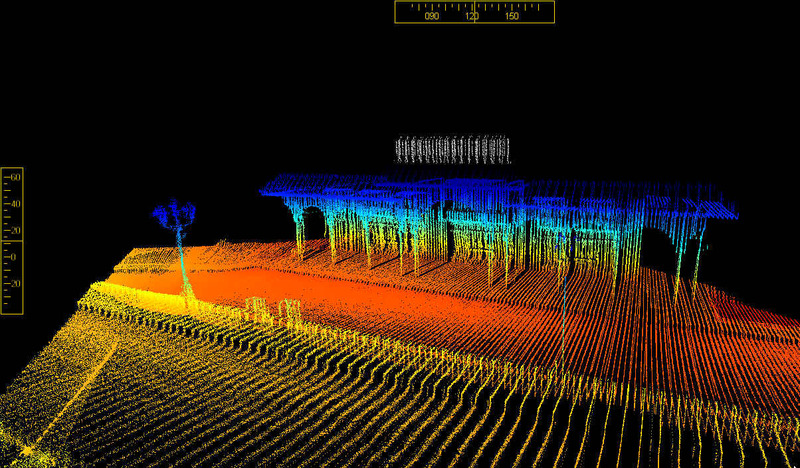 On completion of trials it is envisaged that the system will be used by us for rapid topographic surveys of large open areas, and also used in combination with multibeam sonar systems for high definition surveys of beaches, breakwaters and jetties. 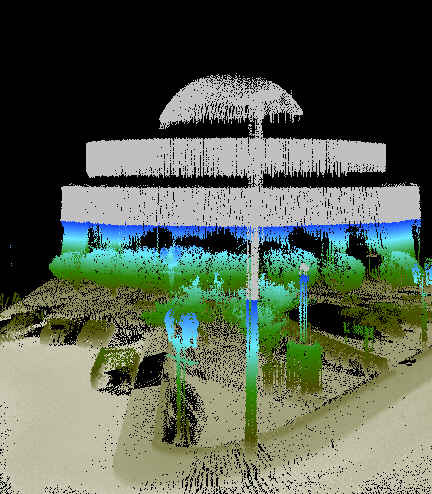 In addition, the system is ideally suited to beach erosion monitoring, stockpile surveys, dredged reclamation area monitoring, above ground pipeline as built surveys, and route surveys for utilities, roads and rail.